- Choose from preset ESPN, Yahoo, and other common league's or edit every single roster spot, offensive, and defensive scoring. 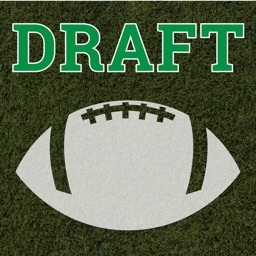 - Practice with mock drafts. - Filter players by VBD, FPTS, ADP, Position, and Labels. - Fast and easy swipe controls to keep up with any draft. - View your draft board in grid format. - View projected standings during and after a draft. 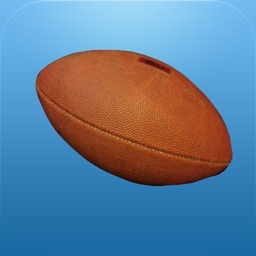 - Keep track of who has been drafted to what team and keep track of team rosters. - Access team depth charts (Updated Daily). - Use labels to tag players however you want (Sleeper, Bust, Watch, Avoid, etc). - Search for players quickly. 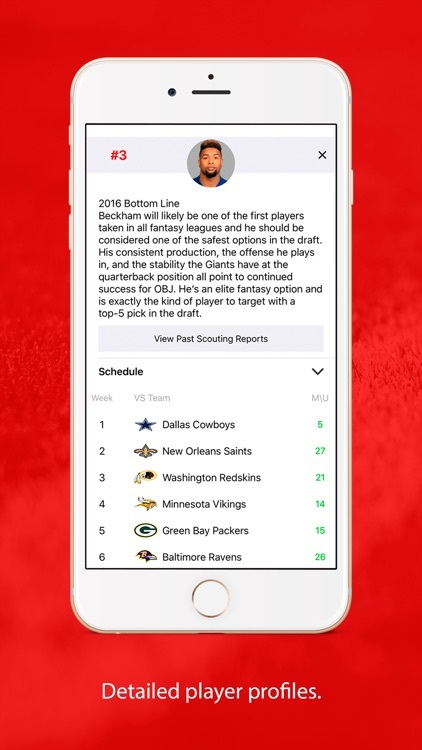 - Manually rank players and create your own rankings. - Read full-season outlooks for any player. 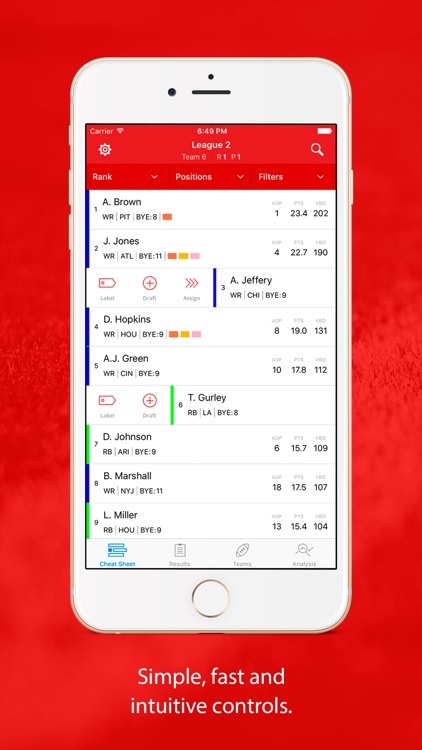 - Make informed decisions with detailed player profiles. 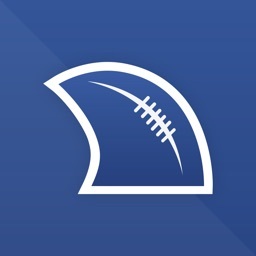 - View each player’s matchup ranking or aFPA (Schedule-Adjusted Fantasy Points Allowed). 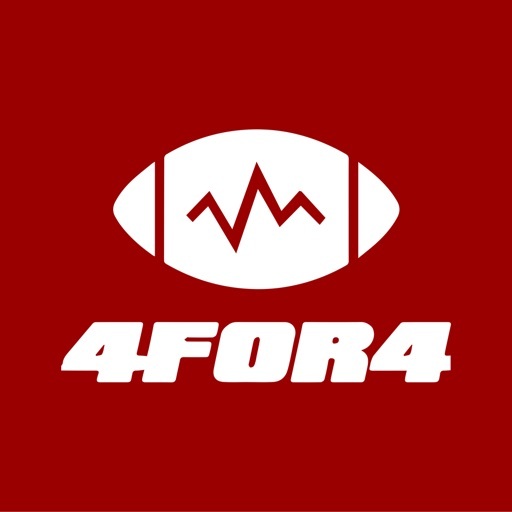 - Stay in the loop with up-to-the-minute analysis and player news from 4for4’s expert staff. 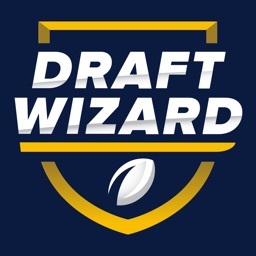 Fantasy Football Draft Cheat Sheet allows you to create a Top-400 cheat sheet ranked by our custom VBD formula, practice with mock drafts, draft players during your draft, and keep track of what's happening during your draft. It is not a full service draft suite like our desktop and web product, Draft Analyzer.